P. Diddy, Puff Daddy, Puffy, Puff, etc. I thought I told you that we don't stop? / Take that, take that! 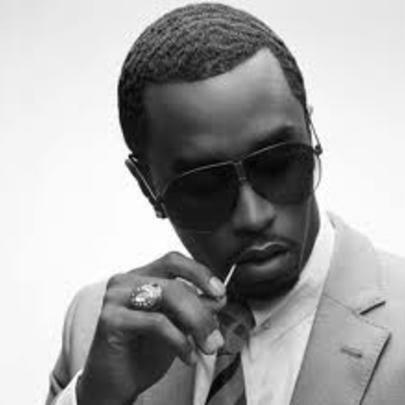 Puff Daddy, P. Diddy, Diddy – call him what you will, Sean Combs is one of the most successful figures in hip-hop history, having recently made Forbes’ “World’s Highest-Paid Musicians Of 2013” list. Although more of a mogul than an artist, he’s a veteran in the game and is well respected in the culture. Throughout his prolific career, the Harlem native has collaborated with the likes of The Notorious B.I.G. (may he rest in peace), Ma$e, TLC, Busta Rhymes, Lil Kim, Too $hort, Jay Z, The LOX, Usher, Faith Evans, LL Cool J, Eminem, T-Pain, Akon, Mary J. Blige, Rick Ross, Pusha T, Miguel, The Game, Snoop Dogg, French Montana, Travis Scott, King Los and many more. Most recently, he launched his REVOLT digital cable television network, partnered with high-end tequila brand DeLeon Tequila and has set his sights on eventually owning an NFL team. He’ll be headlining a Super Bowl XLVIII concert in New York alongside Drake, and is in the process of mixing Rick Ross’ new Mastermind album. Didn’t he tell y’all that he don’t stop? Diddy's father, Melvin Combs, was associated with convicted drug dealer Frank Lucas before his murder at the age of 33. He graduated from the Roman Catholic Mount Saint Michael Academy in New York. As a child, he was given the nickname "Puff" because of his tendency to huff and puff when upset. Diddy dropped out of Howard University in 1989. He helped develop Mary J. Blige and Jodeci while working as an intern at Uptown Records in the early nineties.